It is always the footwear which draws the attention of others when you are meeting somebody. A perfect pair of shoes defines about you so, it is always better to invest money in picking up the right pair for you. The shoes you choose should fulfill all your requirements like dancing, running, walking, jogging and so on. Mens footwear includes casual shoes, sandals, flip flops, formal shoes, canvas shoes and much more. While choosing a pair it is always better to decide for which attire it has to go for. Also, there are huge men footwear coupons available on this page to bring you great deals. Verified on 22/4/2019 . Limeroad Half Price Store - Shop Men's clothing, accessories, footwear online and get flat 50% discount. No minimum value required to redeem this deal. Hurry! Shop now and get huge discounts. Verified on 22/4/2019 . Avail the latest collection of Men's Boots at Club Factory and get up to 70% discount. This offer is valid for limited period only. Check the reviews at given landing page and shop. Verified on 22/4/2019 . Bata is offering up to 50% OFF on men sandals. Shop here from brands like Bata, Comfit, Hush Puppies, Power, Scholl, Sparx etc. No coupon code is required to get this 50% discount. Buy now at Bata online sale and get huge discounts. Basicslife.com is India's favourite menswear e-store. Here it is offering free shipping on all orders with minimum order value Rs 799. Dont worry about online payments, You will have cash on delivery also. Verified on 22/4/2019 . Buy clothing, accessories and footwear at Limeroad and get flat 65% discount. Choose from different categories, brands, colors, size, price and discounts. Valid for all users. No offer code required to get this offer. Verified on 22/4/2019 . Bata exclusive sale on men footwear. Shop now and get 25% off on boots, sports, casual and formals shoes. Use promo code at checkout page and avail this offer. Valid for all users. Buy now. Verified on 22/4/2019 . Mr Voonik brings all men footwear starting at just Rs 799. Choose from landing page collection and get huge discounts on your online shopping without using any coupon code. Hurry! Shop now and save huge. Verified on 22/4/2019 . Bata is offering up to 50% discount on chappals for men. Choose from landing page chappals collection and get more savings on your Bata online orders. No offer code required to avail this deal. Shop today. Verified on 22/4/2019 . Grab Mr Voonik Friday Footwear Sale and get upto 70% discount + additional 5% off. Choose from casual shoes, sports shoes, sandals & floaters, formal shoes and chappals. Hurry! Limited period offer. Shop now. Verified on 22/4/2019 . Shop for sports shoes and get upto 60% discount at Mr Voonik store. Choose from wide range of shoes from landing page. Offer valid on landing page products only. No offer code required. Shop now. Verified on 22/4/2019 . Bata India is offering flat 50% discount on men footwear. Choose from different categories like chappals, sandals, shoes, flipflops etc. No offer code is required to avail this offer. Buy now. Verified on 22/4/2019 . 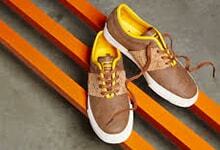 Buy sneakers online at Mr Voonik men online store, price starts at just Rs 399 only. Grab from different brands like ZebX, Escaro, Woodland, Mocas and more. No coupon code required to get this offer. Shop now. Verified on 22/4/2019 . Buy Men's Sports Shoes online at low prices on Mr Voonik store. Check latest collections of best sports shoes with prices from top brands like Adidas, Reebok, Nike, Sparx, Lotto etc. Shop now, no coupon code required. Verified on 22/4/2019 . Buy the latest men clothing, footwear and accessories at affordable prices with Mr Voonik. Shop for orders above Rs 999 and get Rs 250 off. Choose from categories like men body & bath, skin care, fragrances, shaving, sports accessories, sports shoes, track pants, track suits, sports t-shirts, track jackets, sunglasses, watches, belts, bags, wallets, caps, cuff links, jewellery, casual footwear, scarves, formal footwear, ethnic footwear, sandals, floaters, socks, chappals, track pants, underwear, vests, thermals, pyjamas, jeans, shirts, formal shirts, casual shirts, polos, tees, trousers, suits, blazers, jackets, designer shirts and many more. Use the Mr Voonik coupons at the check out page. The modern day man today loves to dress as well! And when it comes to completing the look, shoes form an integral part of the entire dress code. The perfect shoes can really create a lasting impression on others, whether you are stepping into a board meeting, a casual meet up with friends or any family or social occasion. And since the online world has been thriving live with offers and discounts today you can look for men footwear coupons online as well. One of the best platforms to search is HappySale that enables you to browse through the best deals online and opt in for the same. Here you have the chance to come across shoes from a myriad of brands that are popular and known for their high-end products that are made available at an affordable price. When you select from the latest and the authentic men footwear coupon codes you have the chance to select from the best of brands that are available online with HappySale. From men’s corporate shoes, casual slippers and sandals, canvas shoes, loafers to other types of sports shoes you can select from multiple varieties. Some of the popular shoe brands that you can shop from online at a discounted price are Bata and Metro Shoes. In addition to that, you can also get amazing discounted deals from online shopping brands such as Ajio, Abof, Mr.Voonik, Footprint360 and many more. The offers here vary from the attractive promotional deals that go up to 50% and more. In addition to that, there multiple cashback offers as well as site wide deals that will help you make the most of your savings. Of the many online platforms where you can search for the real, authentic and latest men footwear promo codes, the best is HappySale as it provides you with the best possible deals. Here the deals come with a description that enables you to read more on the same and then make the most of it prior to deal expiry time.